“If you love Allah, then follow me; Allah will love you, forgive you your sins.” (3: 32). The declaration of the Holy Quran is clear. It is set with such a condition which is agreeable to the ways of Allah, which is: Obey Allah and Obey the Prophet. Guidelines to obeying Allah are found in obeying the prophet and manifest the exquisite nature of being a good listener of the divine revelations and putting those instructions into practice. The fact is that the more the example of the Holy Prophet Muhammad (pbuh) is taken into consideration and acted upon, the more the door of divine salvation opens to let manifest the love of Allah for such a devoted servant of Allah and true follower of the Seal of all prophets. When Allah has chosen a model for mankind – and thus not only Muslims – therefore, the truth remains that Allah shall have to maintain that role model for all times, to be a representation of perfection which people should aim for at each level of their lives. Allah made manifest prophets before the advent of the Sacred Prophet of Islam (pbuh) and each of them prophesised about that excellent teacher who was to come as the representative of mankind, as the embodiment of perfect submission to the Lord of the worlds. The past prophets were truly excellent teachers and preachers, but the Holy Prophet of Islam (pbuh) came as the peak of perfection from among the prophets and all humankind. Life presents a sad but yet a character-shaping picture of what Muhammad (pbuh) was to become in his early 40s. He started his life as an orphan, deprived of a father and being nurtured by a wet-nurse, and only got two years to bond with his mother before being deprived of her love also. He passed his childhood as a shepherd, tending the sheep of his uncle, an activities which he reminiscence with tenderness later during his years as prophet of Allah. Then he engaged himself in trade and earned his livelihood by honest and legitimate means. Ever thoughtful and sober, he began to lead a life of retirement in the cave of Hira, after his twenty-fifth year, and that habit lasted until he was forty, when he received his call to Prophethood. The next twenty-three years saw him working out the greatest revolution of human history until he was the master of all Arabia and the founder of a new world-order. During all these successive stages of his life, he exhibited such great and sublime qualities of human character that his life, taken as a whole, when viewed today, stands out without a parallel in the history of mankind. 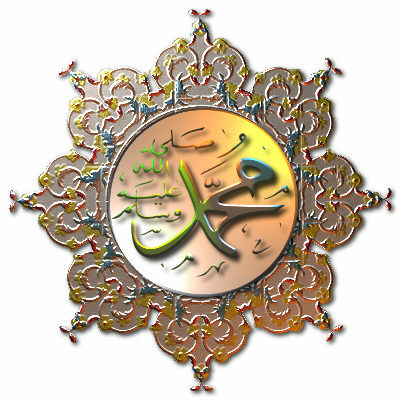 Even before he received the mantle of prophethood, his countrymen had been so much impressed by the gentleness of his disposition, his integrity of conduct, his purity of heart and his singular devotion to duty that they had conferred upon him the titles of Al-Amin, the Trustworthy, and As-Sadiq, the True. He was not only patient in adversity and sincerely and joyfully offered his thanks to the Creator, but even when he became the ruler of Arabia, the arbitrator of the destinies of nations, and tributes in cash and kind and presents of gold and jewellery began pouring into the treasury, and all were at his command, and a regal life ever present at his disposition, yet he relinquished all these to prefer a sober life devoid of the riches of the world. Despite being the uncrowned king of Arabia, the Perfect representative of God from among humans, yet he lived like a poor man. He performed all his duties, the mission bestowed to him by Allah and he made it his duty to accomplish all these duties with due respect and consideration to others’ feelings and respect. Even his enemies and the prisoners of war were well cared for and given to choose their path in life. He did not only scrupulously perform the multifarious duties that devolved upon him as an administrator and the supreme magistrate, but attended to the wants and complaints of the humblest and maintained the same simplicity of life and humility of spirit. As you are all aware, the prophet and his followers were terribly tortured and persecuted – some being martyred – during his thirteen years of ministry in Mecca before his emigration to Medina. In Medina his first act was to draw up a charter with the Jewish community. Its major provision was the guarantee of religious liberty and worship to all denominations. In Mecca itself, the prophet’s bitterest enemy had been Abu Jahl, commander of Mecca’s army, who was killed by the Muslims during the Battle of Badr, the first Meccan invasion of Medina. His son, Ikramah, another bitter enemy of Islam, was one of the Meccan commanders at the Battle of Uhud during the second invasion of Medina. Eventually, when Allah gave the prophet (pbuh) victory over the Meccans, Ikramah left Mecca and proceeded to the coast, intending to cross over to Abyssinia. His wife approached the Holy prophet and asked whether Ikramah could return to Mecca while still professing his idolatrous beliefs. The prophet replied that faith was a matter of conscience and conscience was free. If Ikramah returned to Mecca he would not be molested, and could live there in security professing whatever he chose to believe in. On this assurance, she followed Ikramah and persuaded him to return to Mecca. On arrival there, Ikramah repaired him to the Holy prophet and personally received the assurance which the prophet had already given to his wife. After listening to the prophet, the prophet’s magnanimity and his sincerity in upholding religious freedom and toleration so struck him that Ikramah announced his acceptance of Islam. The Holy Prophet asked him if there was anything he wished for. Ikramah replied that he could wish for no greater bounty than God had already bestowed upon him in opening his heart to the acceptance of Islam, but he did desire that the Holy prophet should pray to God to forgive him for all the enmity that he had borne towards the prophet and the Muslims. Ikramah’s desire was granted by Allah and he was soon after martyred in the service of Islam. This is one of the examples which the Prophet of Islam (pbuh) exhibited and which emotionally and spiritually challenged the people around him, be it believers, seekers of truth and even enemies to reconsider their present state to reform themselves according to the standards which the Prophet of Allah (pbuh) has set on a daily basis. Such was the example of brotherhood, equality and tolerance which the Holy prophet of Islam (pbuh) showed the world and his closest companions did not miss an opportunity to follow his example so as become at least a reflection of his perfection and to earn divine love which comes hand in hand with loving and obeying the best role model for mankind. This was one of the missions that he established, so that humankind may get the perfect teachings and morals which would elevate them spiritually and enable them to become the beloved people of Allah. May Allah help each of us in the Jamaat Ul Sahih Al Islam to follow the perfect examples of the Holy Prophet Hazrat Muhammad (pbuh) so that we may be counted among those closest to him and Allah on the day when nothing else will matter except the love and mercy of Allah and the companionship of the Seal of all prophets, Insha-Allah, Ameen. Remembering the "Seal of Prophets"